I am a working mom of two kids - a daughter who is 18 and a son who is 12. 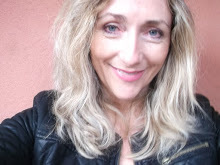 I have been married for 25 years and I have worked in education for 26 years! I've been a high school math and psychology teacher, and school counselor, and counselor educator at large university in the Southeast. 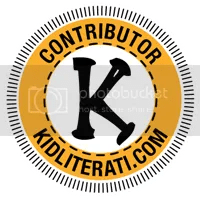 I am hoping readers will get a laugh and maybe even learn something from reading my blog. Somebody once came up with an acronym for making good presentations. KISS – Keep It Simple Stupid. That’s not a bad idea when it comes to dinner. I’m something of a pimento cheese connoisseur and after eating it at 2 restaurants (one pretty famous by Atlanta standards) recently, I’ve decided this recipe still tops most. The key is the grated onion, the roasted red pepper, and a touch of blue cheese. And for something sweet? It doesn’t get any simpler than this. Melt the butter in a pan on medium heat, then add the marshmallows. Once the mixture is completely melted, remove from heat and stir in the cereal. 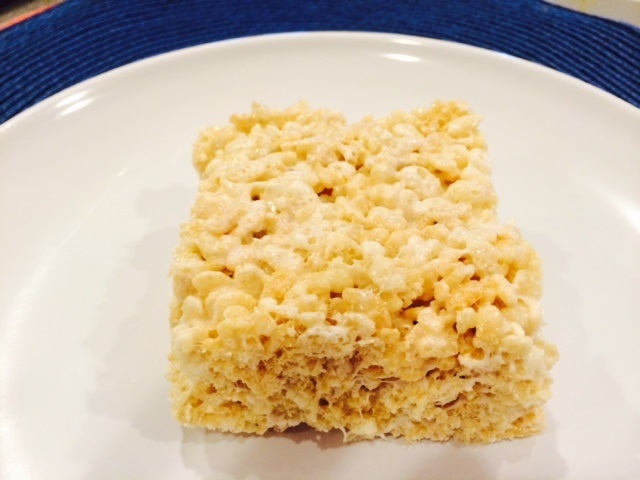 Press the treats into a casserole pan with a spatula that is buttered or covered with wax paper. The boy and I almost ate the entire pan. Which means my pants will most likely snap, crackle, and pop tomorrow. 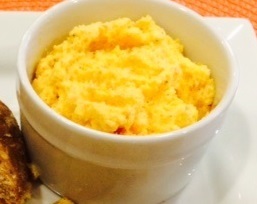 What’s your favorite simple meal or dessert? I spent one very long, hot summer in New Orleans when I was in college. The highlight was staying in the home of a sweet woman who introduced me to Cajun cooking. 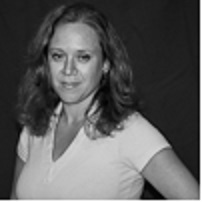 Sally was an expert in making a roux and sauces, with her specialty being jambalaya. I wish I had stolen asked for her recipes, but I didn’t realize at the time how much I’d want them. I blame the heat. 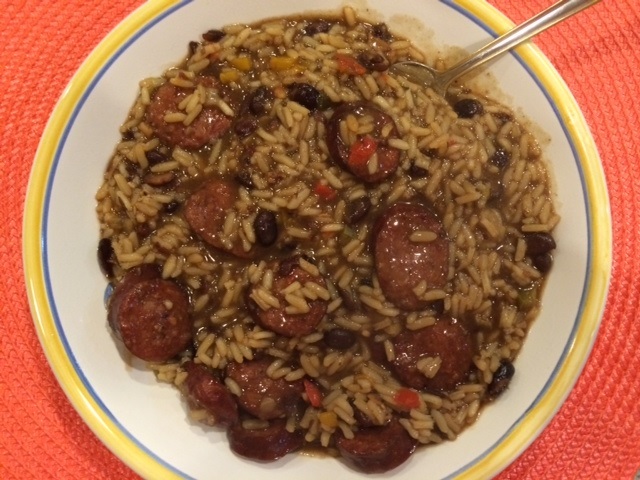 With a little help from Zatarain’s anyone can make a Cajun dish. Sandra Lee has Semi-Homemade and this is what I call Semi-Cajun. Heat oil in a pan and sauté the sliced sausage. 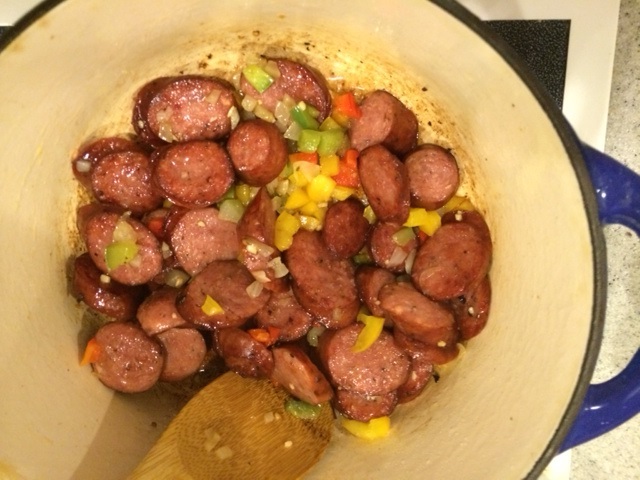 Remove the sausage from the pan and sauté diced bell pepper, onion, and celery (or garlic) in the rendered fat. 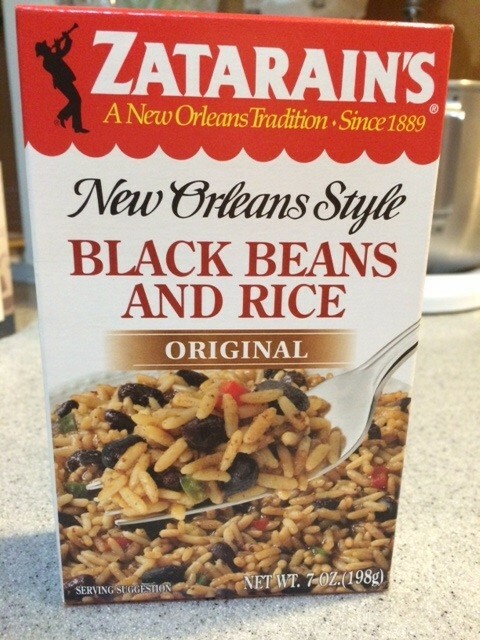 In another pot, put the contents of the Zatarain’s box, water, 1 cup of chicken broth, and extra cup of rice and bring to a boil. Cover and simmer for 10 minutes. Add the sausage, vegetables, and remaining chicken broth and simmer for 15-20 more minutes or until the rice is tender. No one will know you didn’t make it from scratch. I gar-ron-tee! 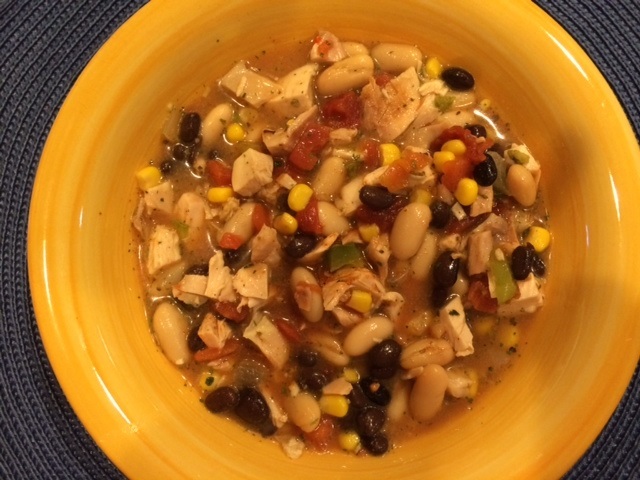 Simple Chicken Chili to Warm You Up! Here’s a simple chili that will warm your family. Enjoy and Happy New Year!! Saute onion and green pepper in 2 tablespoons of oil. Whisk together the chicken chili package and water in a large pot and heat on medium high. Add all other ingredients and simmer on the stove for at least 30 minutes or cook in a Crock Pot on low for 2-3 hours or high for 1 hour. If you make it hotter than some diners like, spoon a dollop of sour cream on top. Do you remember the movie, Mermaids? Every meal was just a bunch of appetizers. That’s not a half bad idea. 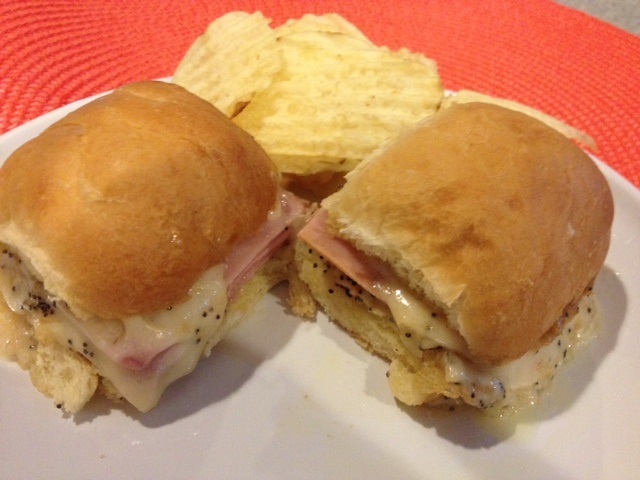 These sandwiches are super easy and perfect for watching college football. I’m more of a baseball fan, although I have taken a liking to watching a certain college team from Texas get beat (even though it doesn’t happen very often.) Let’s just say their quarterback’s head is a little too big for his helmet. Or his belt buckle is a little too big for his britches. And I’m from Texas! 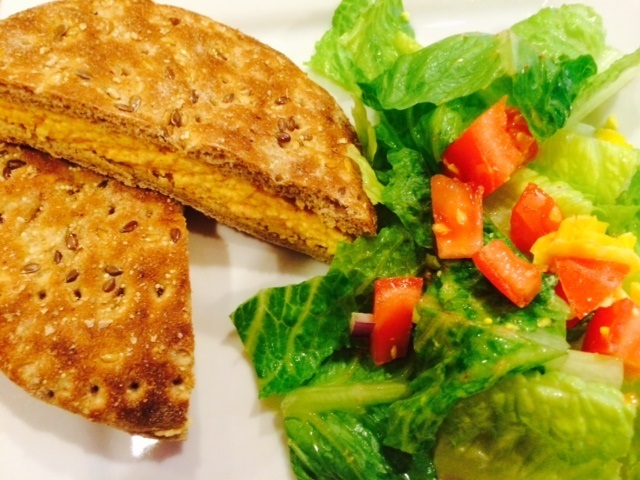 Anywho, these sandwiches are super easy and de-lish! Mix the first six ingredients together in a small bowl. Slice the rolls horizontally and spread the mustard mixture on both sides (tops and bottoms) of the rolls. 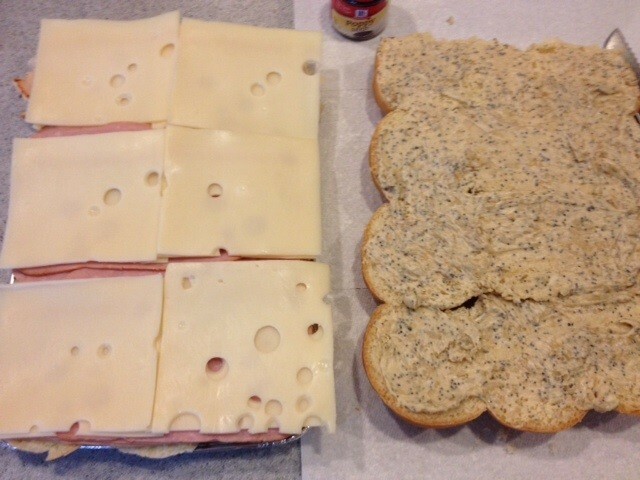 Place 3-4 ham and cheese slices on the bottoms and put the tops of the rolls back on. Wrap the sandwiches securely in foil and bake for 10-15 minutes at 350 degrees. Enjoy! What’s your favorite appetizer? In honor of Labor Day, here’s a recipe idea for dinner that requires very little labor. Mix the first 5 ingredients for the salad and the Fritos together. Place in individual bowls. Spoon taco meat on top of each. Salsa – pour a heaping helping of salsa on top. Thousand Island dressing – pour a heaping helping of the salad dressing on top. Catalina dressing – pour a heaping helping of Catalina dressing on top. Guacamole – I think you know where I’m going with this. Next up: Hummingbird cake – Labor of love or torture? This recipe is great for a quick dinner and you won’t sweat making it. Brown bacon then set aside to drain on a paper towel. Use some of the bacon grease and sauté the diced red onion and red pepper. Spray top and bottom of the quesadilla/grill. Place one flour tortilla on it. 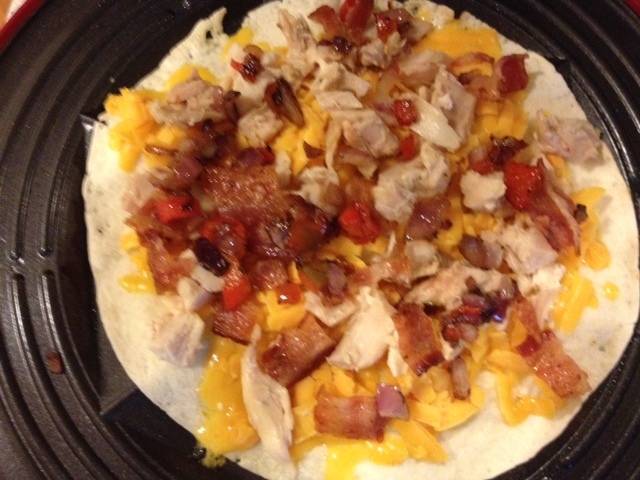 Sprinkle cheeses, chicken, bacon, onion and red pepper on the tortilla. Top with another flour tortilla and press until lightly browned. 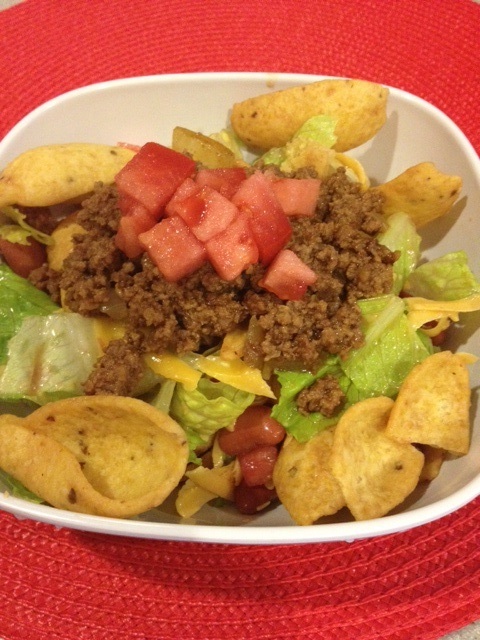 Cut into 6-8 triangles and serve with sour cream, tomatoes and lettuce, and black beans*. *Sauté some garlic, red onion, and red pepper in the leftover bacon grease and add to canned black beans. Salt and pepper to taste. So good! 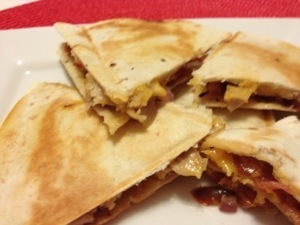 Note: If you don’t have a quesadilla maker, you can use a Panini press/grill. You can also use a non-stick pan on the stove, but remember to flip it to brown both sides. 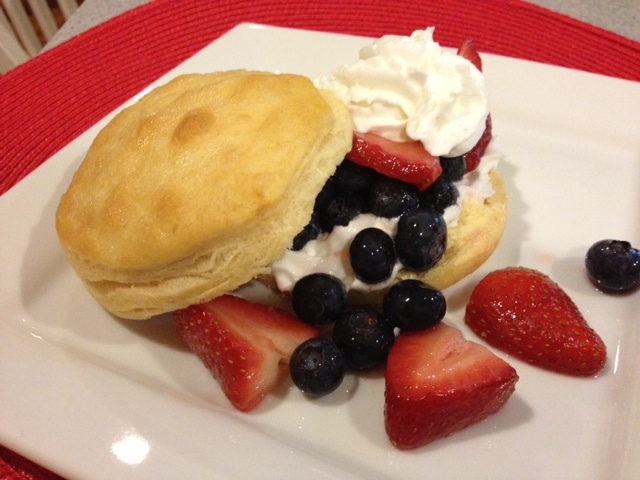 Berries are in season and they make a quick and tasty addition to any dessert. This is possibly the simplest dessert you’ll ever make. It’s like a strawberry shortcake, minus the shortcake. I use Pillsbury Flaky Grands Biscuits instead. Slice 2 cups of strawberries. Add 1 cup of blueberries and stir in 1/4 cup of sugar. Place the biscuits on a cookie sheet that has been sprayed with a non-stick spray. Melt 2 tablespoons of butter in a microwave. Brush the tops of the biscuits with the butter and sprinkle granulated sugar on top of each biscuit. Bake at 350 degrees until golden. Cut each cooled biscuit in half. Place a dollop of *heavy whipping cream on one of the halves and spoon a generous helping of strawberries and blueberries on top. Place the other biscuit half on top or to the side. There’s nothing like baseball season to showcase my shortcomings as a mother. Each game, I’m reminded that I don’t put in the same amount of effort into cleaning baseball pants as the other moms do. My son’s once white pants now have permanent Texas Longhorn brown stains thanks to our Georgia clay. Luckily, he doesn’t seem to mind. I thought maybe nobody would notice, but when one of the boys came home with us after a game, his mother asked me not to wash his uniform. I didn’t take it personally. He has another pair, but that’s another story. And I blame his father. This year my #15 needed a blue batting helmet so his dad thought he’d save some money and spray paint his nice green helmet navy blue. I said it was a bad idea. A very bad idea. But when it comes to saving money, I have no credibility. My husband is the King of Coupons, the Sultan of Save. Unfortunately, he’s not the Michelangelo of spray paint. Picasso? Maybe. One Saturday the boys were waiting for the game ahead of theirs to finish. They were sitting on the hill and comparing batting averages, making bets, stuffing sunflower seeds in their mouths, doing whatever they do before a game. Oh, and sitting on their helmets. Yes, that’s right. When my kid got up, he had nice blue streaks on his cheeks. We got some good news this week. Before the big tournament in July, the team is buying new pants. I’m really going to try this time. Pre-treat. Soak in hot water. Add an oxy booster. Or I could just spend my energy on pie. 1 pint heavy whipping cream (this will make about 5-6 cups.) Whip in a chilled bowl until thick, then beat in ¼ cup confectioner’s sugar to sweeten it. In a food processor, grind enough chocolate graham crackers (about 2 sleeves) until fine. Add 1 tablespoon of granulated sugar, ¼ cup melted butter, and a pinch of salt and pulse a few times. Press the graham cracker mixture into a 9-inch spring-form pan. Bake until golden and crisp, about 6 to 8 minutes. Remove from the oven and cool completely. Using an electric mixer, beat the cream cheese with sugar until smooth. Add 1 cup peanut butter and beat until smooth. Add the milk and ½ teaspoon of vanilla and beat well. Fold 5 cups of the sweetened whipped cream into the peanut butter mixture and spoon into the prepared pan. Cover with plastic wrap and refrigerate until firm, about 2-3 hours. 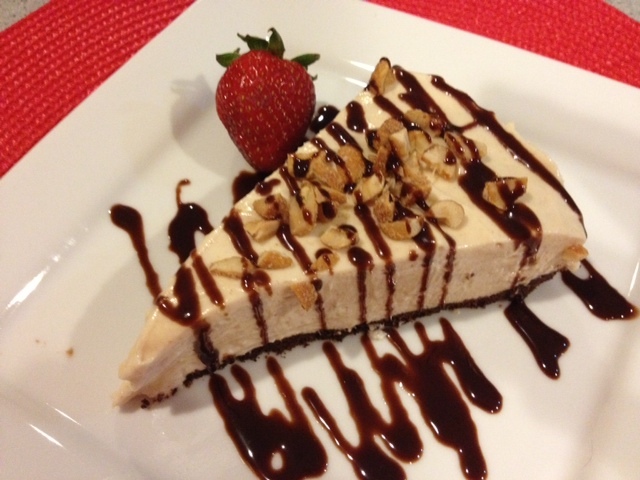 Remove from the refrigerator and garnish with chopped peanuts and chocolate syrup. If there is any remaining whipped cream, place a dollop on or beside the piece of pie. You can also put a strawberry or two on the plate for dipping (or just to pretend you’re healthy). My son has a fascination with vending machines. If it was the type that stored year-old Funyuns and Oreos, I’d be okay. But he’s fascinated with the other type. The kind found in movie theater restrooms. This didn’t happen when he went in the Ladies’ restroom with me. Is 13 too old to still go in the Moms’ restroom? Protocol – When life just can’t wait. Contains one. One what? And I thought those things were supposed to prevent life. His father had picked him up from the movies the day before. Why couldn’t he notice these things and talk about them without even involving me? It was a good thing my husband was driving when I made this little discovery. 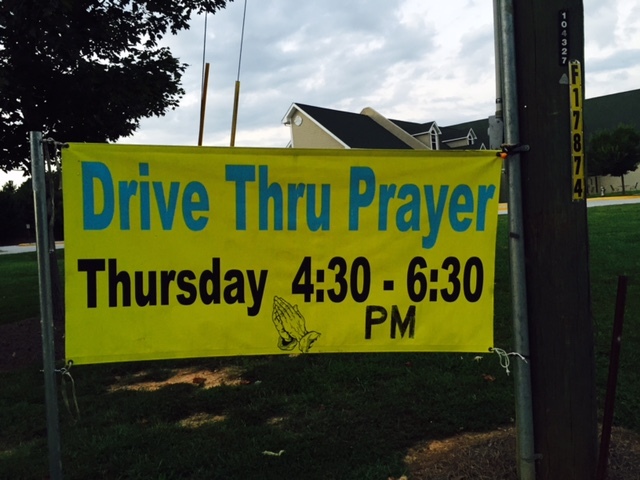 Curious George was in the backseat and we were headed to…church. The discussion would have to wait. I thought about it all through the sermon. Each possible scenario started with… these items are used by some people… And they all ended with…So never ever put your hands on a restroom vending machine again! Wait a minute, what if the box didn’t belong to my son? What if my husband had bought the little treasure? That possible conversation scenario took a much uglier turn. For some highlights, see this. On the way home I settled on my lecture. Basically, it was a lecture I’d make my husband give. Then I saw a tiny plastic bottle roll by my feet. Okay, so it was watermelon sour drops. Who knew? Last weekend we traveled out of state to attend a family wedding. On the way home he spent a little too much time in the truck stop restroom. When he came out, he asked for a quarter. Does he listen to anything I say? 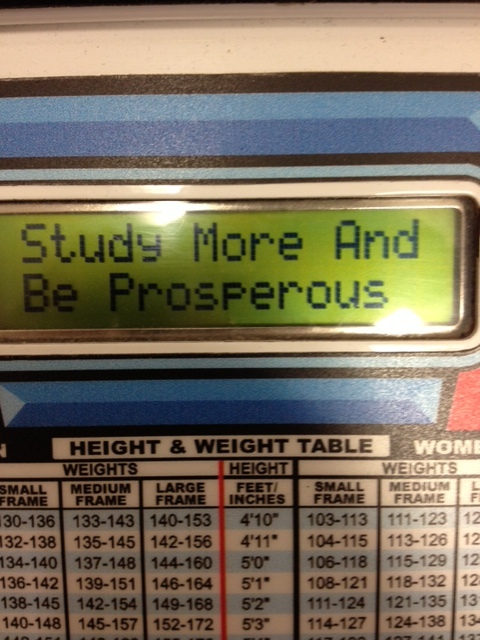 He explained it was for the scale that told his fortune. Okay, I was a little curious. Why don’t they ever have these in the Ladies’ restroom? When he came back, he told me what it said. It was definitely advice worth taking. Of course that was after the message that told him his lucky lotto numbers.